Based on the 2015 motorcycle theft report of National Insurance Crime Bureau (NICB), an organization that tracks data, investigates, and promotes awareness on vehicle theft, the particular crime has increased compared from the previous year. 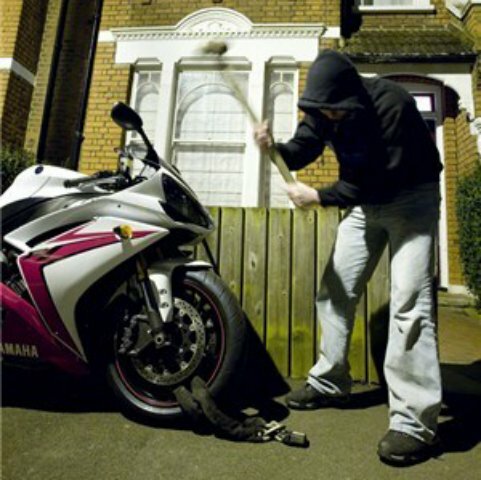 Take a look at some of the interesting information gathered from the survey about motorcycle theft. According to the motorcycle theft report, about 45,555 of motorcycle units were stolen in the United States in 2015. That’s a 6 percent increase from 42,856 stolen units the previous year. The record shows that from 2006 to 2014, the statistics were already declining from 66,774 thefts in 2006 to just 43,000 in 2014—there was a good 36 percent drop during those years. But the numbers suddenly rose in 2015, although it is still better than the 2006 motorcycle theft record. The report included not only the number of thefts for the year 2015 but also the top states where motorcycle theft is rampant, as well as the cities and favorite manufacturers of the thieves. Take a look at the details below. Other brands included in the list were Astronautical Bashan, KTM Sportmotorcycle AG, Kymco USA Inc., and Jonway Group Co., Ltd. It was also mentioned in the 2015 motorcycle theft report of NICB that August and February are the most dangerous months of the year for motorcycle owners with 5,269 thefts and 2,093 thefts, respectively. Or check out our GPS tracking device for motorcycles to learn more.